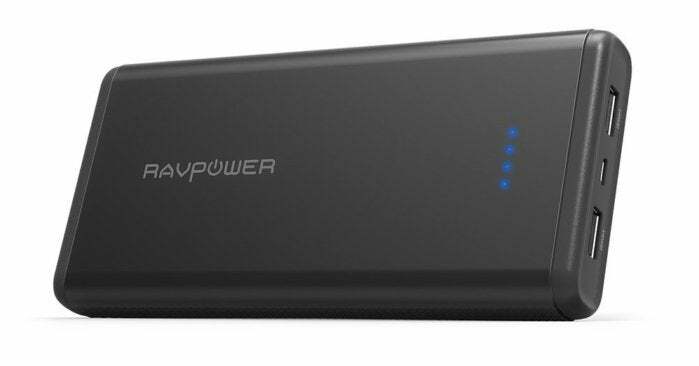 RavPower products are on sale today at Amazon, including this 20,000mAh portable charger for $26. Charger maker RavPower is having a one-day sale on Amazon today. The discounts are decent across the board, but the best item of the bunch is a 20,000mAh dual-port power bank for $26. This deal lasts until just before midnight on Wednesday Pacific time. The charger, which is available in black and white, features a total charge output of 5 volts and 3.4 amps with the ability to charge at a maximum of 5V/2.4A per port. It also comes with an LED indicator to show how much charging power is left in the power bank. 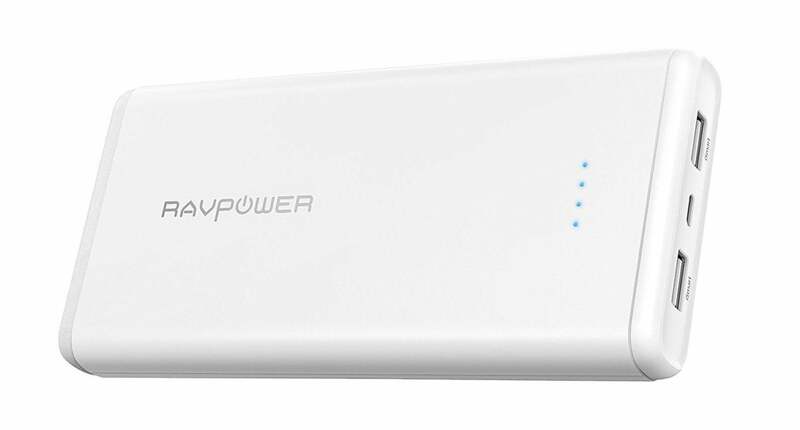 RavPower says this device has enough power to charge an iPhone 7 up to 6.1 times, the Samsung Galaxy S8 up to four times, and the iPad Air 2 about one and a half times. If you're looking for QuickCharge 3.0 or USB-C support, RavPower is also offering a deal right now on its popular 20,010mAh USB-C power bank. This particular model offers a standard 5V/2.4A USB-A port, a QuickCharge 3.0 USB-A port, and a 5V/3A USB-C port. Normally $50, you can grab it for $35 when you enter coupon code MMAMPBUJ at checkout.